Me: So where are the good Nashville honky tonks? Clay: There is one that is hands down the best, Robert’s Western World. Me: Sounds like they sell cowboy boots. Clay: As a matter of fact, they might. . . I never figured out if they sold boots there, but the walls were lined with them. When we arrived, Jesse Lee & Brazilbilly, the house band, were playing traditional country music. The dance floor was already packed when people from all walks of life (including local celebrity/designer Manuel Cuevas—see the silver-haired gentleman below). It was not long before I got asked to dance by a stranger in western wear. One vintage gentleman (which is apparently what we call “old” now) taught me to waltz, and another showed me how to western swing dance. I always forget how friendly everyone is in Tennessee. I finished the evening with some friends on the dance floor and was absolutely exhausted. Here is Jesse Lee & Brazilbilly performing Cattle Call, one of the songs I danced to. 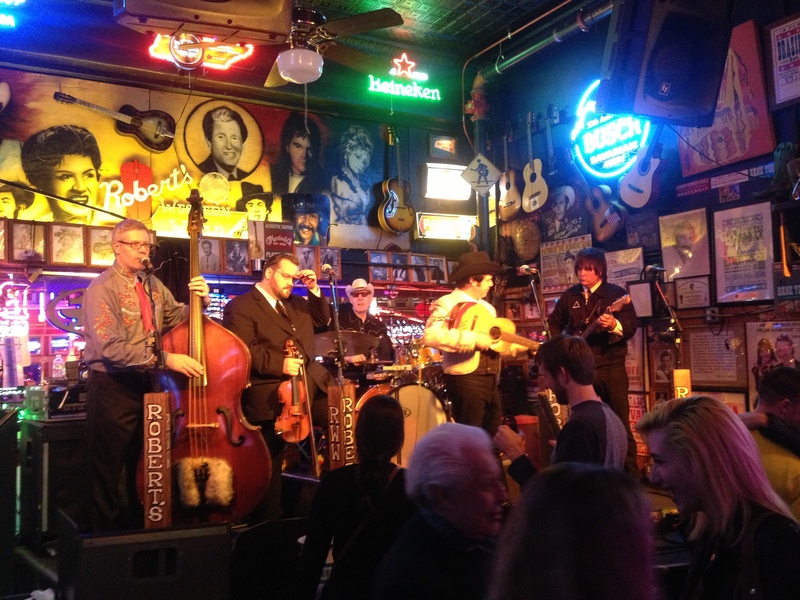 My first honky tonk experience was a lot of fun and I absolutely loved the music. It was not what I expected, and I have once again learned not to have preconceived notions about things. If you are ever in Nashville make sure you go by Robert’s for a swingin’ good time. Somehow I have made it through life without going to a real zoo. 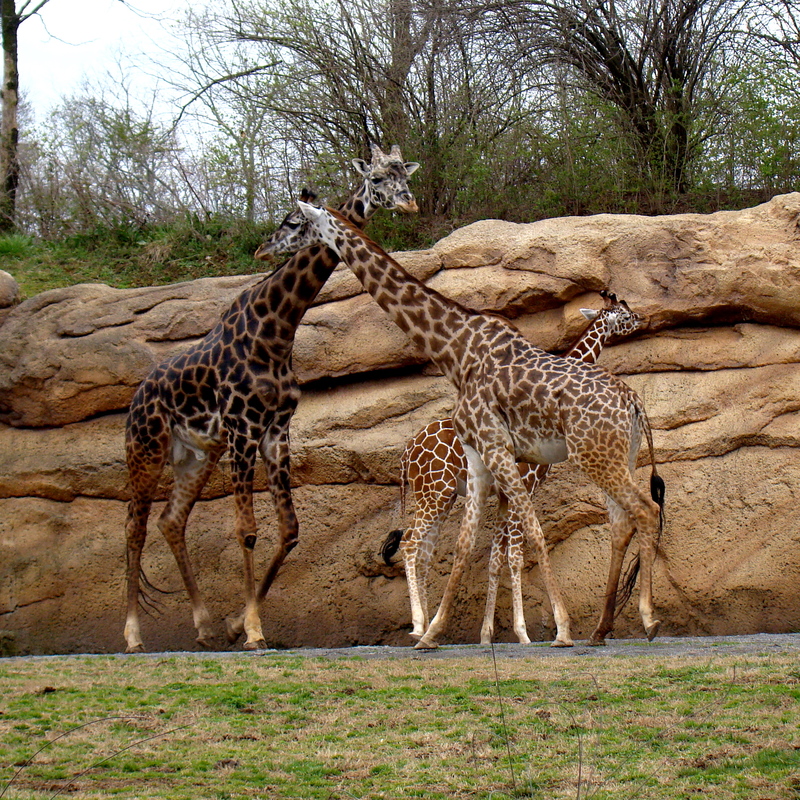 I decided to rectify this by visiting the Nashville Zoo with my friend Meagan. We were supposed to have a nice, sunny, 67-degree spring day. What we got was a hazy, 56-degree, seasonally-confused day. Despite the weather not being what we hoped for, we had a lovely afternoon. The zoo was geared up for Eggstravaganzoo, their annual Easter egg hunt. This meant the zoo was festively decorated, kids were everywhere, and the animals had giant Easter eggs in their habitats. 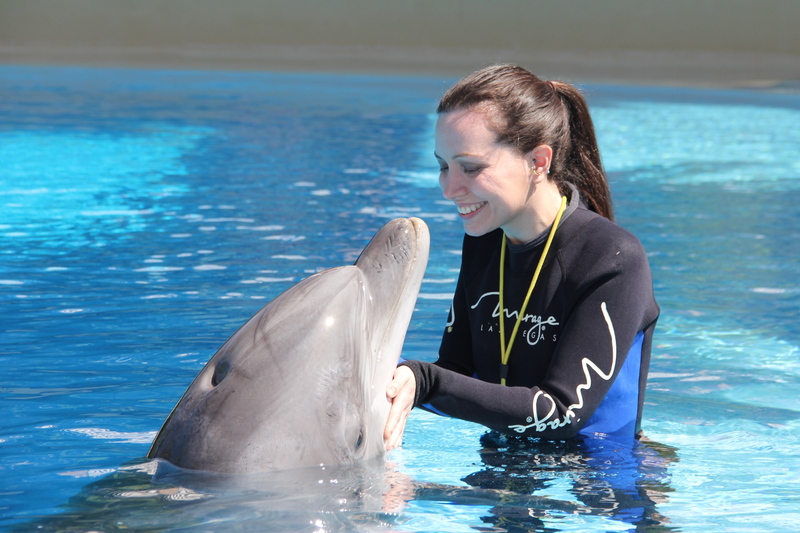 It was the perfect day for a visit. We even joined in the festivities by gorging ourselves on popcorn and blue cotton candy. Mmm. 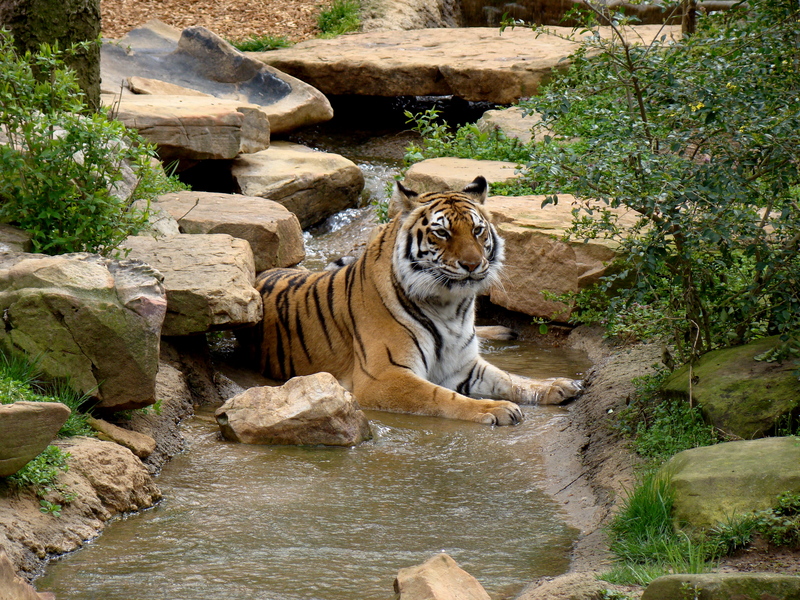 First up was the Bengal tiger. There are fewer than 2,500 in the world and they are classified as an endangered species. They are absolutely gorgeous creatures and one day they might not be around for us to see. I loved the African elephants. I have never seen one in person so they were the highlight of my day. They were absolutely huge (as you might imagine). On average they weigh 5 tons and male elephants can grow up to 13 feet tall. 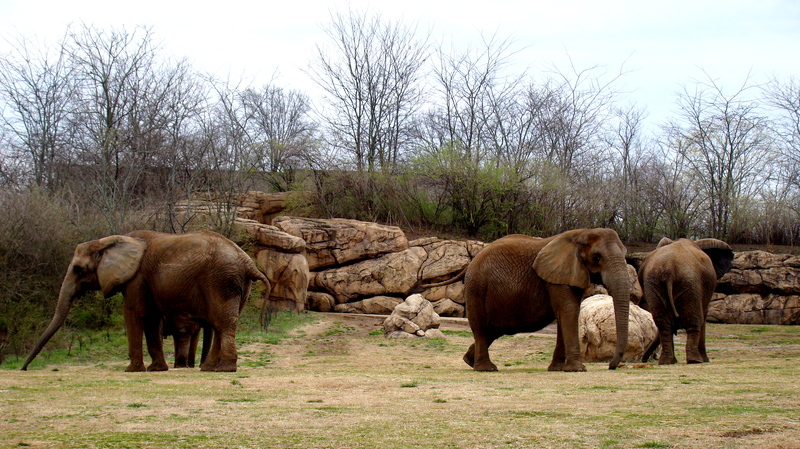 Like the Bengal tiger, African elephants are listed as endangered. I also loved seeing the Masai giraffe. They were not as tall as I expected, I think I have seen Lion King too many times. They were, however, absolutely beautiful and graceful. 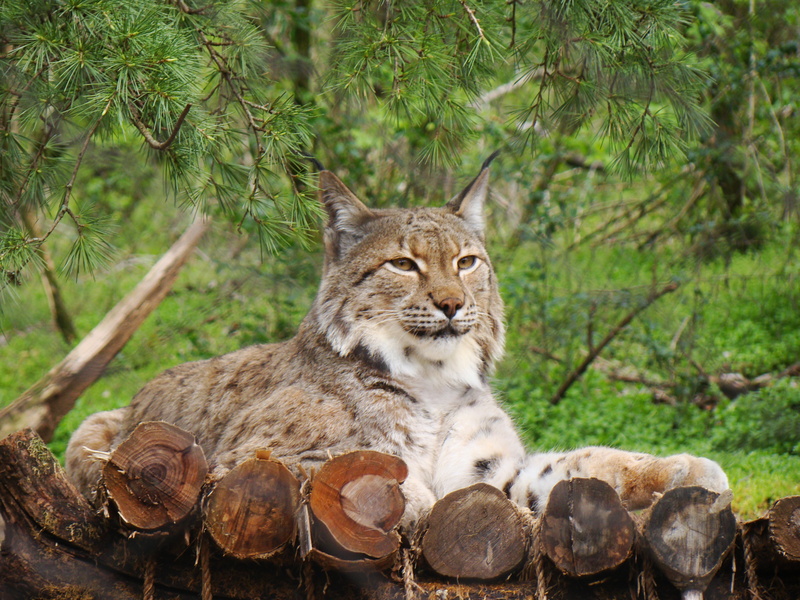 The Eurasian lynx may look pretty mellow, but apparently they can hunt animals 3-4 times its size. I am glad we were separated by (I hope) a very sturdy fence. 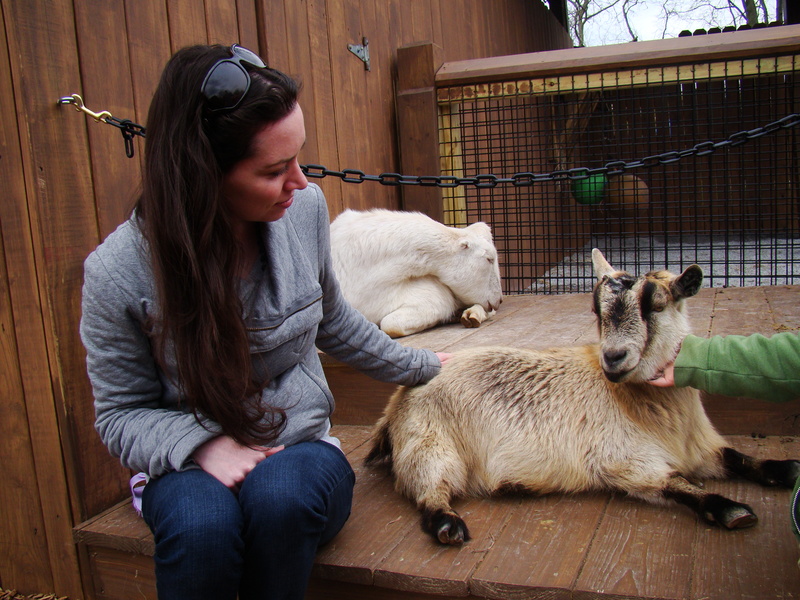 OK, a goat isn’t exactly an exotic animal, but it was pretty cute. 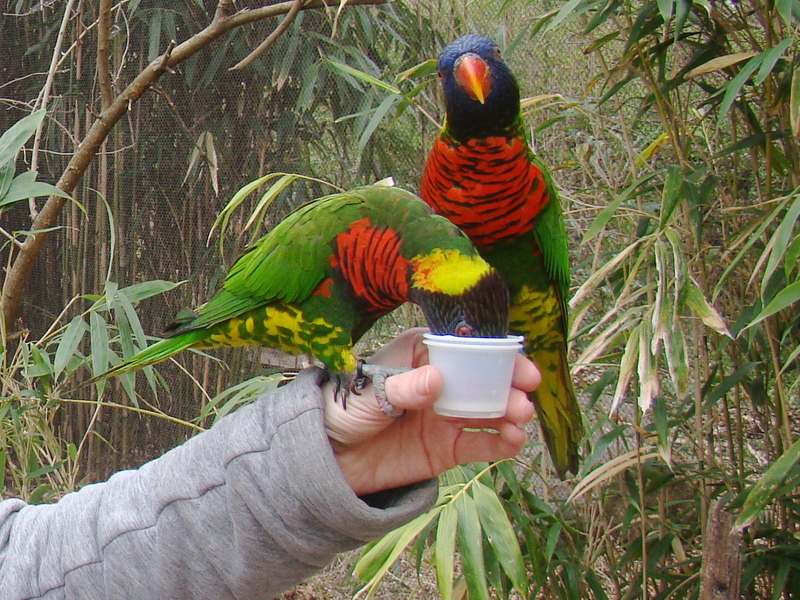 Of course, no blog post would be complete without me interacting with some sort of bird. Before we went in to feed the birds at Lorikeet Landing, Meagan warned me how much they seem to hate and want to attack her. The zoo was really busy that day and the birds definitely seemed hyped up on all the extra nectar they got. Perhaps the extra sugar was an aggravating factor, but just as she predicted I watched the birds poop on, scream at, and try to bite Meagan. I made it out unscathed. We had a great time at the zoo. This summer they will add an interactive Kangaroo exhibit and I can’t wait to come back to pet them! About 6 1/2 years ago I had my first martini. It was quite possibly the most disgusting drink I ever tasted; it had the all the charm of, and I what I suspect the flavor of, rubbing alcohol. Ever since, I have avoided the drink. This weekend I went to Virago, one of my favorite restaurants in Nashville. As I was perusing the drink menu I noticed their Honey Basil Martini. My usual reaction is to turn my nose up at any type of tini, but I thought that it was important to give the drink a second chance. The drink was made up of Stoli Vodka, grapefruit juice, honey simple, and a basil leaf. It was an interesting mix of tangy and sweet with a hint of basil—and didn’t taste anything like rubbing alcohol. While I don’t expect to turn into James Bond (who, according to the West Wing, is ordering a weak martini and being snooty about it), I will be a lot more likely to choose a martini when I am out with the girls . . . or with Mr. Bond. Later the same evening we went to The Patterson House, a prohibition-era, speakeasy-style cocktail bar. The bar had a vintage decor, was dimly lit, and the walls were lined with books (including the Tennessee Code Annotated—nerd moment). After my positive martini experience earlier in the evening, I decided to go a bit creative on my drink order. My friend Clay pointed out the “Double Back” on the menu. The Double Back was comprised of Sailor Jerry Rum, Pierre Ferrand Cognac, cream, a whole raw egg (yes, you read that right), Averna, and Fee Brothers Old Fashioned Aromatic Bitters. The drink was cold and creamy, but had a warm and spicy flavor . . . and you could not taste the egg (thank goodness). It was perfect for a cold rainy night on the town. After having my mind changed about martinis and loving a drink with an egg in it, I will no longer order my safe go-to drink choices and will try to branch out a little instead. What a great weekend you had! This is one of my favorite songs. I was singing it to myself while reading your post. Next time I am in Nashville we will go Honky Tonkin’! I was in and out super fast this time. Maybe I can plan a visit just for us to hang? My wife and I spent our wedding night (no…not THAT part of it) at Robert’s. There is NO better honky-tonk on Broadway! It definitely seemed like the place to be! I’m glad I went. Martinis now too? Awesome. When can we look forward to you trying the nectar of the Gods aka Scotch? Not sure if they have them down in Nashville, but here in Madison, there are places which offer flights so you can learn the different styles and variations – of which there are many. Laphroaig man, myself. Any types you would recommend? I’m terribly fond of the Isle of Islay scotches – they taste of the sea and peat and are incredibly dark and complex. However, others prefers blends or inland styles – very much a personal choice. Laphroaig or Ardberg or Lagavulin are Islays which I enjoy tremendously. Love Roberts! I have Brazilbilly’s live cd uploaded on my Infiniti hard drive.